Only Angel starts off sweet and slow musically and then kicks off with some intense Rock and Roll beats. The saccharine of the beginning few seconds stems from the song title being about an angel. 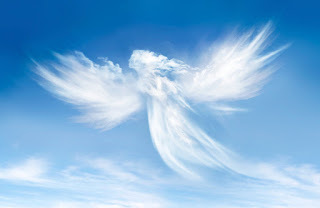 Angels are characterized as pure and good. The person Harry is singing about is both good and bad. She is a kind soul but she can be bad in an exciting way for Harry. Harry is being a little saucy here - telling his lover to shut up. It's bad and exciting. This line reminds me of The 1975. In their song, "The Sound," they sing, "It's not about reciprocation, it's just all about me," which is similar because both artists are being selfish. I know Harry Styles and One Direction do get inspired by The 1975 (One Direction was even accused of copying from them! *GASP*). I have reacted to this line already here. These lines remind me of Meet Me In The Hallway. Harry is pleading with his lover to stay and be with him. The person Harry is talking about is very enticing and may be playing hard to get - and Harry is falling for it with reckless abandon. Once again, Harry is emphasizing that this girl is bad in an exciting way. He even mentions meeting in the hallway here! This song does have a lot of connections with Meet Me In The Hallway. Here Harry is recognizing this girl's good and bad side. She's an angel but she's also a "devil in between the sheets" - that's what makes her so cool.